I remember the late ’90s. 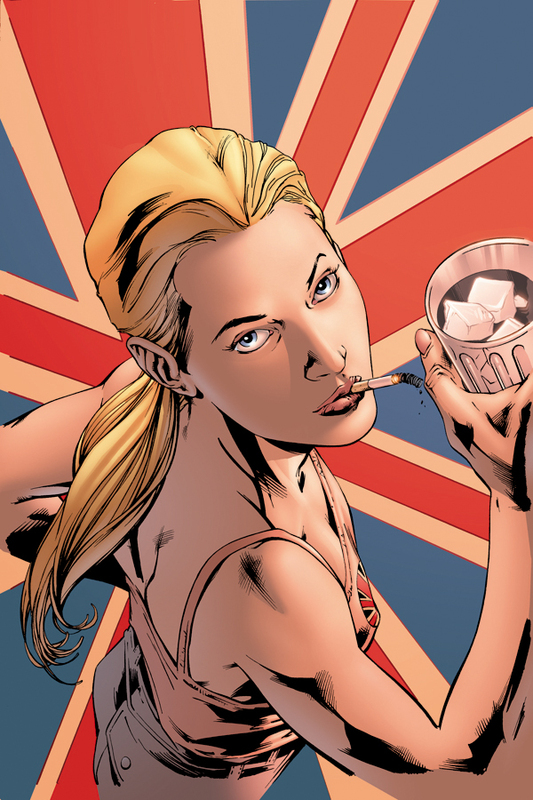 Back when a young Brit named Warren Ellis caught the attention of the world with his wicked take on the future, Transmetropolitan. It was about a journalist in the future, but we now know better. There's no such thing as journalism. 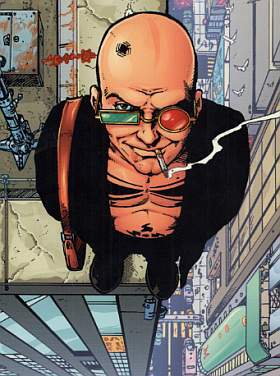 I never actually liked Transmetropolitan, but I can wholeheartedly assure you that I loved/love a lot of his other works: Planetary (yeah, you already knew that, didn’t you), The Authority, Global Frequency, Red, Nextwave, Fell, etc. What's this? An excuse to use an image of Elijah Snow? Don't mind if I do! 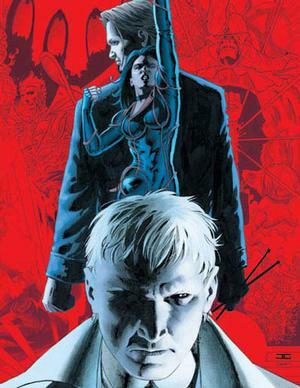 But, damn, it’s been, like, two years since the last issue of Fell came out. What happened to Warren? It's also been at least that long since I read an issue, so what the hell is this series about? In 1990, a six-page short story written by Ellis appeared in a British independent magazine, Deadline. Well, it didn’t appear there like by magic or anything: he submitted it, it was accepted and published. 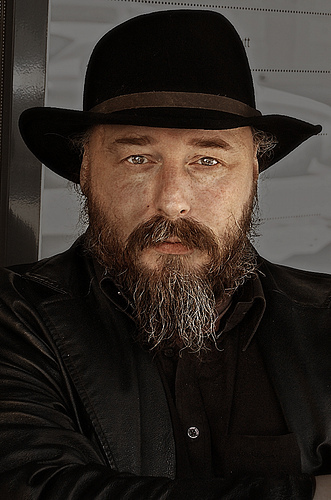 His first ongoing work, Lazarus Churchyard, was published in Blast!, a short-lived magazine (probably due to putting an exclamation point in its name). By 1994, Ellis was working for Marvel comics, writing a bunch of stuff I don’t really care about but you can google if you like, and then moved to DC, where he worked on Stormwatch, and gave the world Jenny Sparks. God bless that man. I've got the bitchy part down. I just need to master the hero part, and I can be Jenny for Halloween. 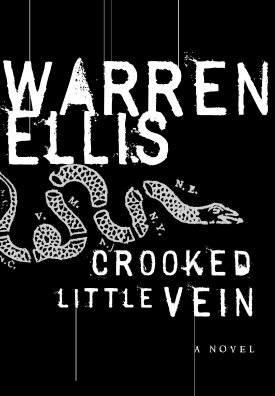 In addition to the stuff I listed, Ellis also wrote a lot of independent titles (yes, even more independent than Fell) and a novel, Crooked Little Vein, that was published in 2007. I don't want to spoil it for you, but yeah, it's pretty strange. And, OK, fine, he updates his web site, like, daily, even when he’s in Germany, so it’s not like he’s disappeared off the face of the planet or anything. So what’s he been up to lately? 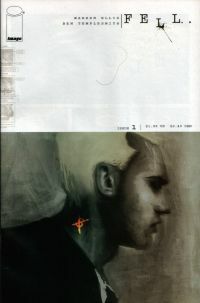 Well, it appears he’s been working on a web comic called FreakAngels, and also has been writing The Astonishing X-Men, which I guess I would’ve known if I hadn’t thought Whedon was still writing it, so shame on me for being a crappy fan. Anyway, it appears the answer to my query is that Mssr. Ellis is where he’s always been, and if I’d stalked him more faithfully, I would’ve known that. Also, I'd've known he looks that cool dressed as the man in black.